Home » ★★★★☆ » Little Social – I can be, sometimes. Little Social – I can be, sometimes. I had done some free work. Don’t look so shocked. You know how it is. Sometimes it’s a bit of legit pro-bono, sometimes inadvertent (I’m not paying THAT) and sometimes it falls under the heading of “good for the relationship.” Hmm. Having sorted out and reorganised some documents for a client, I expected nothing in return, other than perhaps a bit more work. But the client had other ideas. Take your pick, I was told. It’s our treat Anywhere you like. I instinctively knew that a trip to Paris might be pushing it, so I suggested Little Social, which I knew would please at least one of the clients no end. N, who has appeared on these pages before, is my most food-forward client and is constantly trying to out-new me. He managed to get there first with Hutong and by sort of subterfuge with Newman Street Tavern and he tells me that he’s found something new and interesting in Marylebone, but I think I’ve got the edge. Just. This sits bang opposite Pollen Street Social, the mothership, but it’s really quite other. Aiming to recreate the feel of an old Parisian bistro, this is intimate and cosy – very different to the glitz, light and noise across the road. As you walk in, a long and narrow room, with a number of ox-blood leather banquettes on the right hand side of the bar. The clients were already ensconced and I slid in. I knew within about three seconds that I could, nay would, slide off the edge. Not due to the size of my backside, though that doesn’t help, but because it was one of those very slippery leather seats which, combined with slippery clothes and alcohol, meant it wasn’t going to end well. I suggested to N that he might want to sit on the outside. I think the word bossy was used at that point. I recall that it was used quite a lot throughout the evening. It’s a short and straightforward menu. Such things as Salad of Baby Carrots, Avocado Orange and Fennel (£9) or, my choice, the Jerusalem Artichoke risotto, Curried Sweetbreads, Pickled Girolles and Wild Rocket (12.50). N is the only client I know who is happy to share. He likes a gripe does N though and I like to oblige. Always accusing me of eating more than my fair share. I’m going to institute a new I cut you choose rule. That will sort it. Bossy? Me? 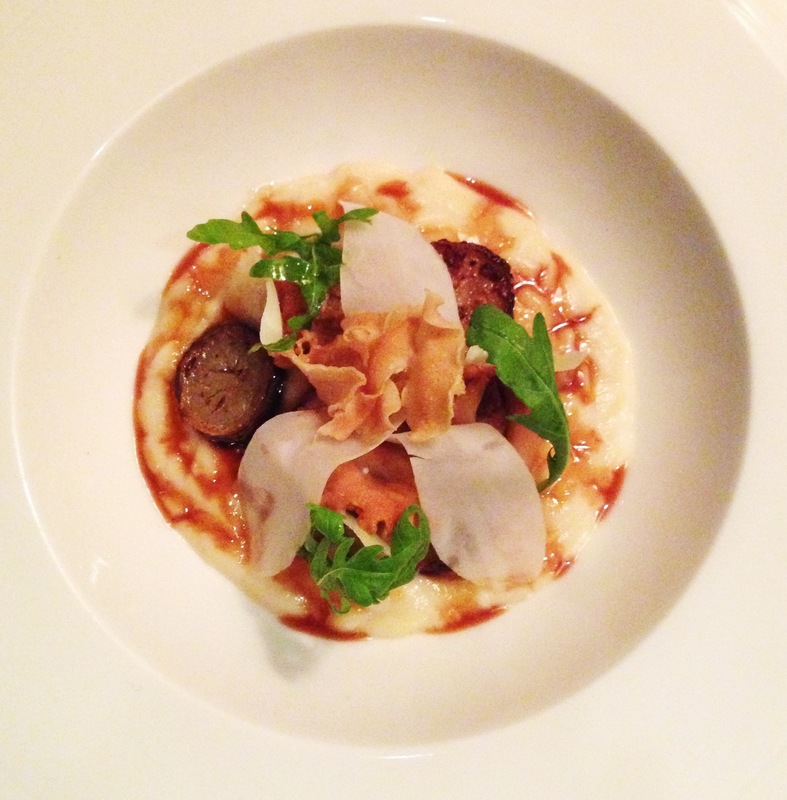 We both fancied the risotto dish and the Burrata and Figs with Truffled Honey and Cobnuts, so that’s what we ordered. The risotto dish was unctuous, creamy, smooth, the pickled girolles giving a little welcome acidity, to cut through the creaminess. It looked pretty as a picture too. 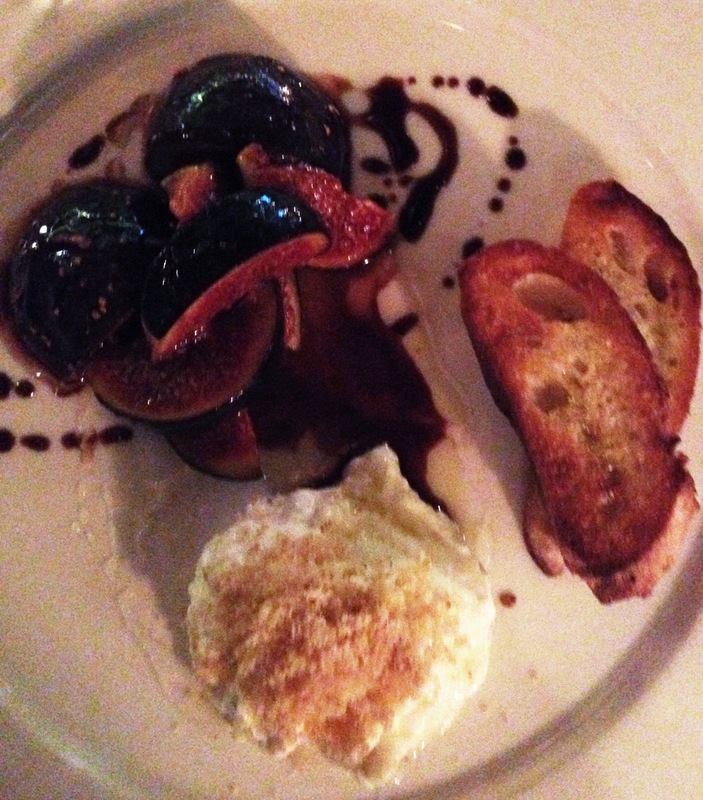 The figs were beautifully ripe and set off well by the truffled honey. For my main course, Pork and Truffle Sausage, Onion Purée, Grilled Cauliflower, Griotte Onions, Mashed Potato and Pork Jus. 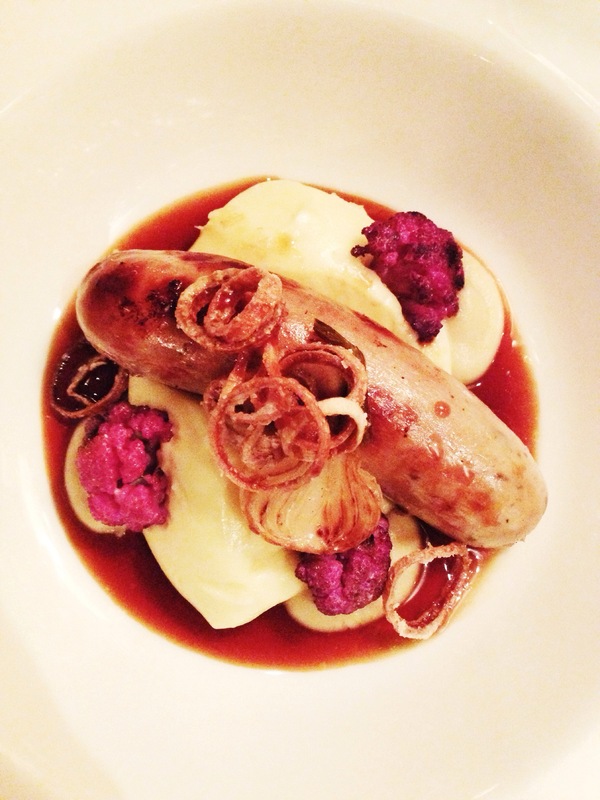 A lovely comfort-food cold weather dish, elevated above trad sausage and mash by its fairly sophisticated trimmings. Not sure I could really taste the truffle though, in the sausage. Maybe my mouth had been anaesthetised by the alcohol by that point. Because I am afraid that we did drink. N was hovering round the Reislings on the wine list, thinking he was doing a good thing by me, with my love for things Alsace, but there was Mersault on the menu and for all his food-forward pretensions, he hasn’t ventured wide with wine and for some reason Mersault had escaped his attention. No longer. We had two bottles. It would have been easy to go on. So we did. Dessert. 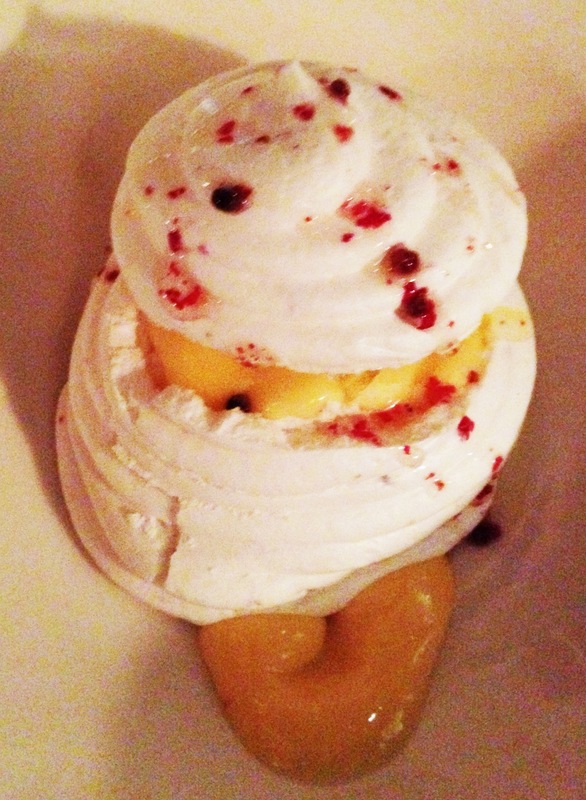 Pink Peppercorn Meringue, with Lemon and Lime curd. It had to be ordered. And very lovely it was with its sharp smooth curdiness under the peppery meringue. Less odd than it sounds. 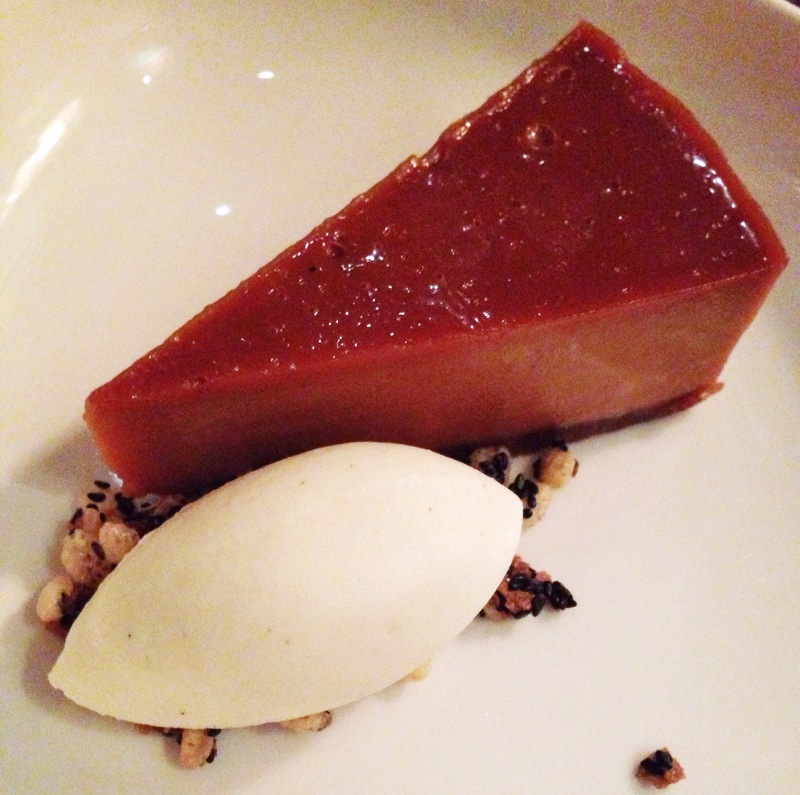 But there was also Brown Sugar Tart, with Crème Frâiche Sorbet and Black Sesame Crumble. This was the star of the show. Like a cross between crème caramel and custard, perfectly set off by the sorbet and the crumble I am afraid that I may have strayed over the half-way mark. Just this once. Obviously dessert wine was necessary, to enhance the whole dessert experience and I knew I was going to feel less than my sparkling best in the morning. Sometimes it is a price one has to pay. Because I had such an enjoyable evening it was difficult, the next day, to work out how much of that was about the food and how much the company and what it was that made Little Social feel warm and welcoming and a place that I’d want to visit again and again. So, in the interests of fairness and not a little greed, I went back. And again. All good. This is a place in which it’s easy to have a great night out, to relax and to go large; to have good food and a really good time and which feels buzzy yet intimate, where the service is unobtrusive and the music doesn’t get in the way. A large sausage. What’s not to like? I actually think it’s my favourite of the Atherton restaurants (shock horror! ), so I’m glad you seem to have enjoyed it as well! Not even worth going to Berners then? Worth checking out the room. Someone told me the burger was ok…. 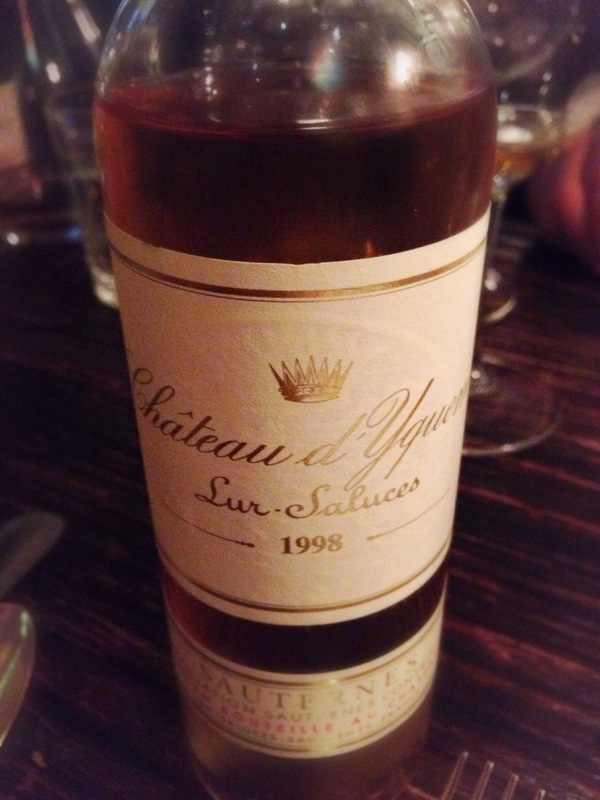 I’ve just reviewed it – check the blog ?